Puri, on the east coast of India, in the state of Orissa is a hoary pilgrimage center, enshrining Jagannath, in a colossal temple. Puri is well connected by rail and road with Calcutta and with Bhubaneshwar. 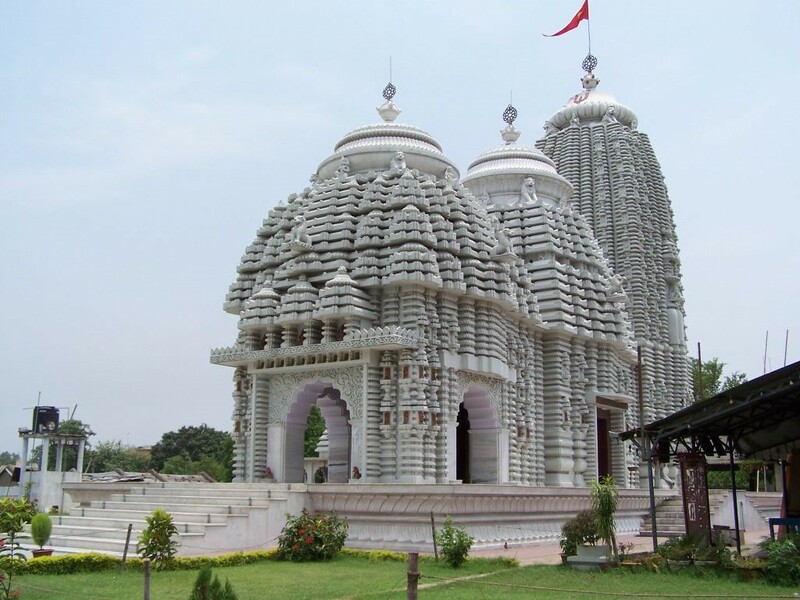 Bhubaneshwar, KonarakJagannath Temple and Puri constitute the Golden triangle of Orissa, visited in large numbers by pilgrims and tourists. Puri is the forerunner of the Jagannath cult in Orissa, which saw the flowering of several temples dedicated to Jagannath all over the state. refers to Purushottama in the form of a wooden image, prepared from a log of wood floating on the ocean. Puri is also referred to in the Bhrama purana. Orissa has Konark as the Surya Kshetra, Puri as the Vishnu kshetra, Bhubaneshwar as the Hara Kshetra and Jaipur as the Parvati Kshetra. Legend has it that the original image of Jagannath was found at the foot of a fig tree, in the form of an Indranila or the Blue Jewel. Its blinding brightness, prompted Dharma to request it to be hidden in the earth. King Indradyumna, of Malwa intending to discover this image, performed severe penances, and was instructed by Vishnu to go to the Puri seashore, and look for a floating log, and fashion an image from its trunk. The King did discover the log of wood. Vishnu and Vishwakarma appeared in the form of artistes and prepared images of Krishna, Balarama and Subhadra from the tree. Interestingly, the wooden images being worshipped are renewed Jagannath Templeduring special occasions. New images have been installed in 1863, 1893, 1931, 1950, 1969 and 1977. Puri was a center of Buddhist worship, before it became a center of Vaishnavism again. The Rath Yatra at Puri has its parallel with the chariot procession of the Buddha’s tooth at Dantapuri. Indradyumna. Pilgrims are required to offere worship first at a Shiva temple, and then at the banyan tree and then at the shrine to Balarama before proceding to worship Jagannath. Subhadra is to be worshipped next. The Temple: The vast temple complex occupies an area of over 400000 square feet, and is bounded by a 20 feet high fortified wall. This complex contains about 120 temples and shrines. The shikhara of the Jagannath temple towers to a height of 192 feet. Structurally the temple has four chambers. The outermost is the Bhogmandir, the next is the Nata-mandir pillared hall for music and dance, the next is the Jagamohana – or the mandapa where devotees gather for worship and the last is the sanctum or the Deul enshrining the deities. Bhima Deva in the year 1174 CE. It took 14 years to complete and was consecrated in 1198 CE. It is believed that the image of Jagannath was buried thrice in the Chilka lake for protection from invaders. 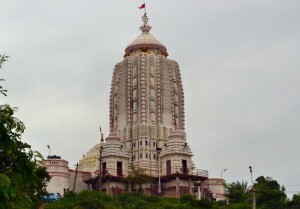 Puri represents one of the four peethas established by Sankaracharya, the other four being Sringeri in south India, Dwarka in Saurashtra, and Badrinath in the Himalayas. Ramananda of the 14th century – a follower of the SriJagannath Temple Vaishnava religious leader Ramanuja, is also associated with this temple. Chaitanya of the 15th – 16th centuries popularized the worship of Jagannath. Festivals: Elaborate worship services are carried out throughout the day here. There are as many as 24 festivals each year, the most important one of them being the Rath Yatra or the Chariot festival in the month June – July. The spectacular chariot festival involves the procession of three colossal chariots bearing the images of Jagannath, Balarama and Subhadra through the streets of Puri. 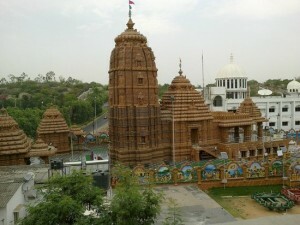 Jagannath’s chariot is a 35 feet square, rising to a height of 45 feet, with 16 wheels, 7 feet in diameter. More than 4000 people drag the chariot. Hundreds of thousands gather from all over the country to witness this festival. The chariot is dragged to the deity’s summer abode where the deities are worshipped for a week, and then a re-enactment of the chariot festival, where they are brought back in procession happens. New chariots are made each year.